As of Jan. 15, 2019, the restoration of OBBR since Irma is now completed and the resort has returned to full use. 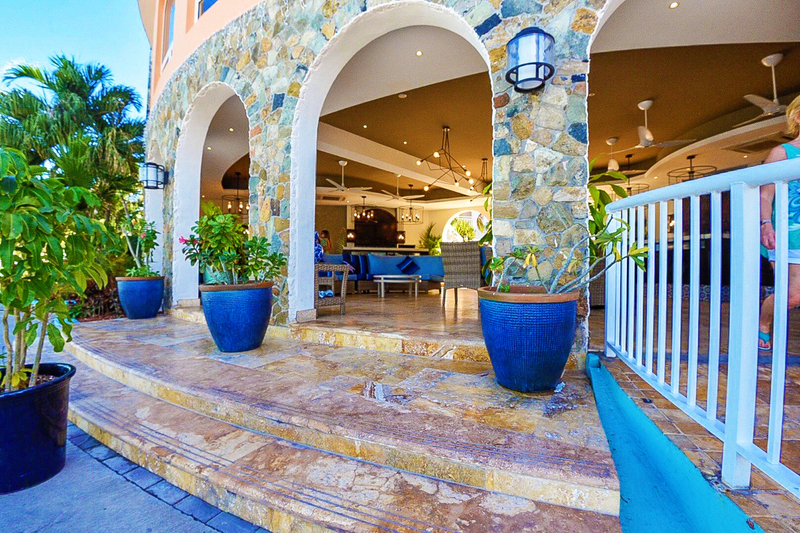 As one of the first St. Maarten resorts to completely reopen since Irma, we’re proud to contribute to St. Maarten’s remarkable rebirth. This makes for a total of 182 available studio and one- and two-bedroom units. 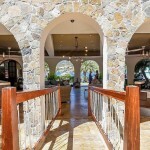 During the high-demand season the resort is up to 85% occupancy, with all of its rooms on line. It’s very emotionally rewarding to have the entire resort opened again, as well as almost completely occupied. Ownership and guests are grateful to have OBBR returned to them in great condition — and in some ways better than before Irma. To complete this substantial restoration on time and on budget was an intensive team effort by our management group and staff. Phase III was completed on time on Jan. 15. 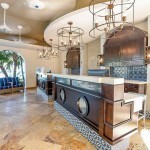 All rooms and common areas were completely restored, except for a few minor finishing touches around the resort. Beau Beau’s is not yet restored to its former use. 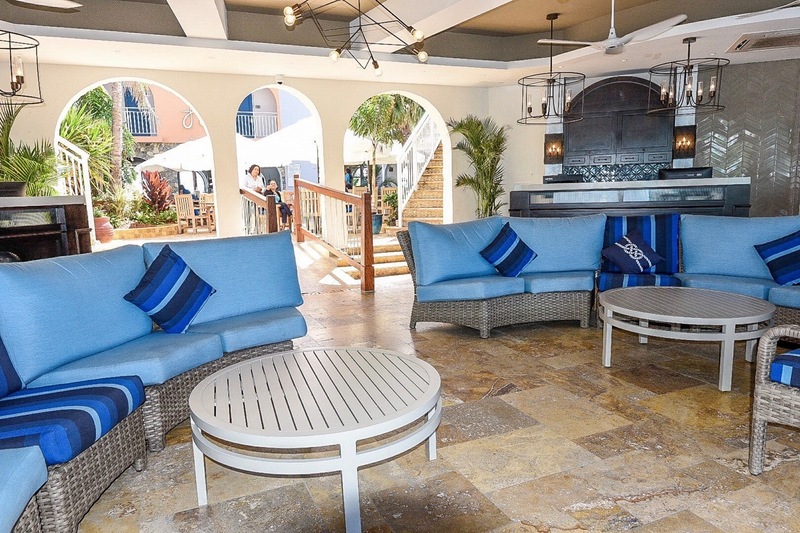 However, we’re planning on creating a new Beau Beau’s that will transform it into a beach-front bistro, bar and market. 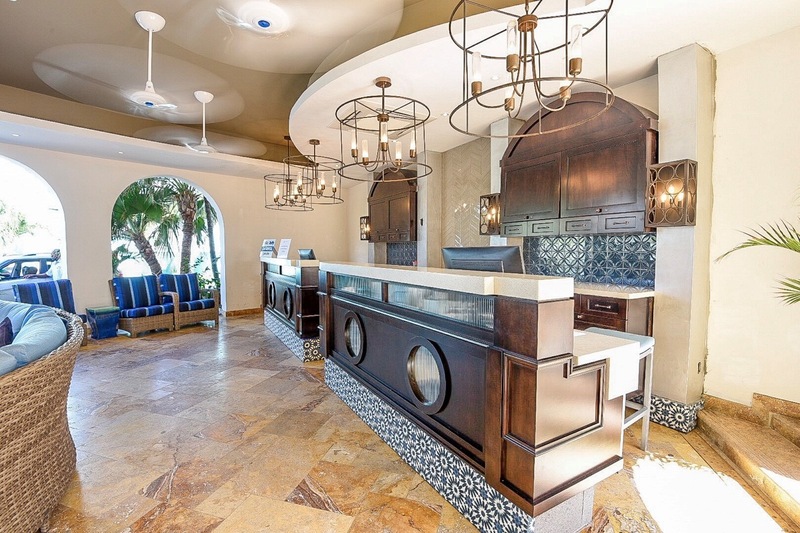 All amenities are now open and thriving: Infinity, Infinity Bar, Bodega, Shipwreck Shop, Nectar Spa, Oyster Bay Marina, Infinity pool and hot tub, Dawn Beach, and the gym. To complete this substantial restoration on time and on budget was an intensive team effort lead by Ricardo Perez and our management team: Anju Snow, Mientje Brown, Jonathan Peterson, Lorenzo Bryant, Mitch Mardenborourgh, and many others. The main contractor who delivered on time (with accuracy and serious skill), was Simon Warrington. He was assisted by his able brother, Skeith Warrington. Simon has worked on St. Maarten for years and uses only local labor. He did an absolutely fantastic job, and his workmanship is of obvious superior quality. We owe Simon a lot for his consistently high-quality work, as well as for his attentiveness to the job so we could meet our ambitious opening schedules. 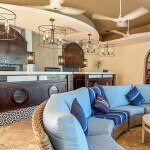 Timeshare owners and other guests are enjoying the newly renovated units. Occupancy is good at an average of 85%, so there are still rooms available. All owners are being accommodated. Still, prospective guests are urged to call now. 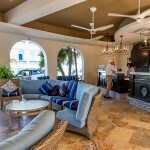 Comment cards and internet comments are almost universally positive regarding the room improvements, furniture, fabrics, paint color and art, and the Infinity Restaurant and bar. The comments are especially enthusiastic regarding the staff at OBBR. 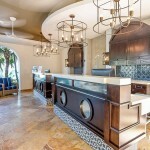 Big Fish restaurant at Coral Beach Club is coming back soon! Big Fish, down the road from OBBR, is scheduled to reopen in the next several weeks as well. Big Fish was voted the #3 restaurant on St. Maarten, before Irma. The owner and chef, Leslie Martina, vows to live up to that honor. He plans an excellent restaurant with a wonderful relaxing atmosphere with great food and a fantastic new menu. It’s a welcome addition to our peninsula. 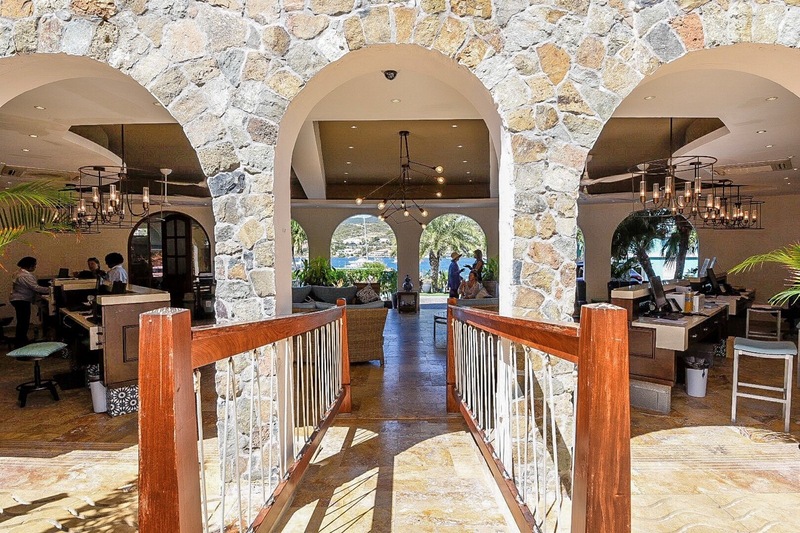 St. Maarten continues its steady progress. The airport’s main terminal has reopened. There’s still a lot of work to be done, but it’s great to be back in the modern, spacious and comfortable terminal. 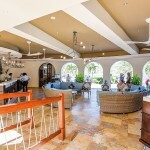 Work is on-going on reconstruction of many of the iconic hotels in Simpson Bay. Many restaurants catering to all levels of gourmet or gourmand have reopened. The electric and water companies are increasing their capacity. 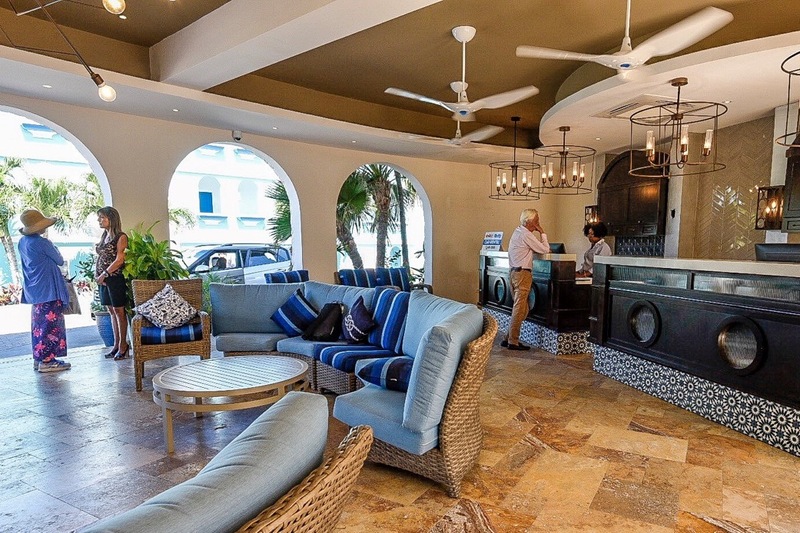 The infrastructure of St. Maarten, with the help of a $650,000,000 helping hand from Holland, is being markedly improved. Soon St. Maarten will surpass where it was before the storm. Life on St. Maarten is good! 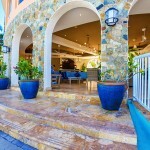 The timeshare sales at OBBR and Coral Beach Club (CBC) have been record-breaking, to say the least. 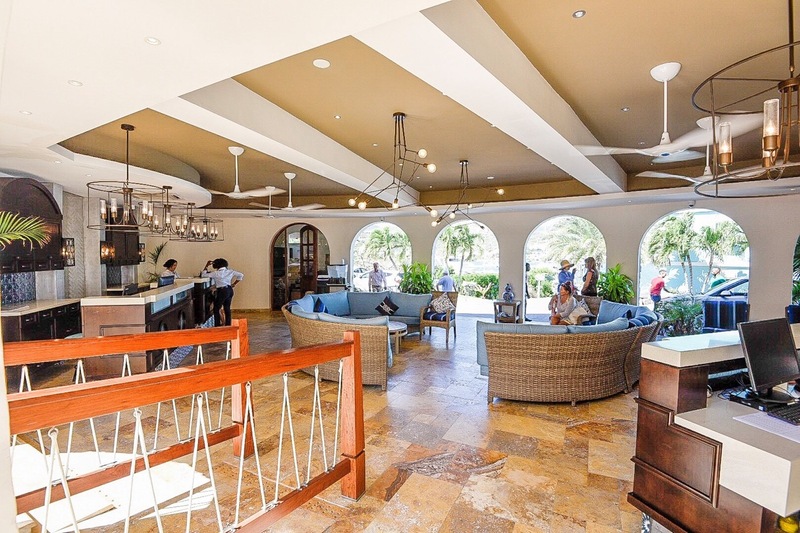 The demand for the units in both resorts is strong and gratifying. 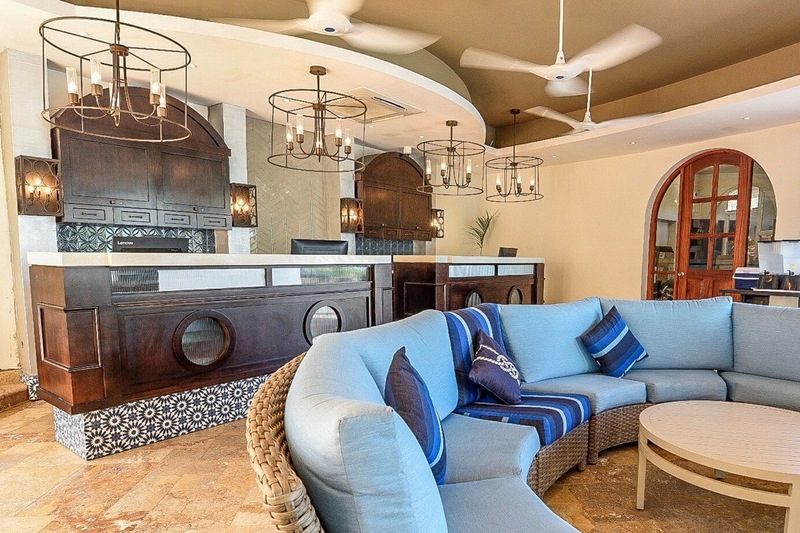 The CBC resort gives OBBR owners the ability to trade their OBBR unit week for weeks in either a three-bedroom, luxurious, ocean-front villa or a Mediterranean-style, two-story, two-bedroom townhouse overlooking the Marina. Many owners are making the short jump to CBC and freeing up prime inventory at OBBR for other owners who are upgrading to it as it becomes available. Despite all the restoration that’s occurred, OBBR Management is happy to announce there will be no increase in the annual maintenance assessment in 2019. This is the fifth year in a row that assessments have remained unchanged. Ownership and guests are grateful to have OBBR returned to them better than ever. 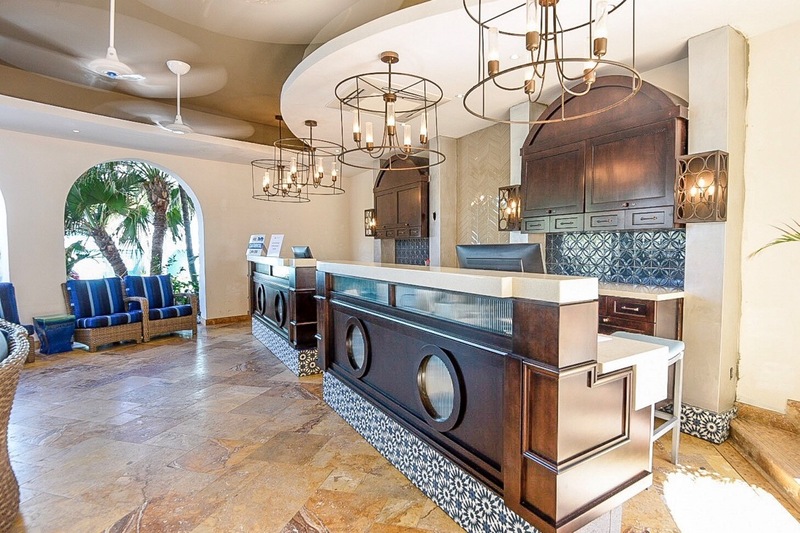 The Infinity Restaurant is open daily 7:30 a.m.-10 p.m. for breakfast, lunch and dinner. The Infinity Bar is open 10 a.m. to midnight. The Infinity Restaurant is also available for weddings, parties, meetings or other gatherings. 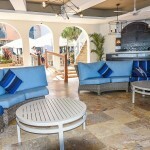 To make a reservation or for more information, call 721-543-6040 or visit: www.oysterbaybeachresort.com. We wish you great success in 2019.